Early in my real estate career a client told me he did not care how many houses I sold. He told me “I just need you to sell my place! !” and that has become my attitude with each of my clients. I do not need to sell every house in Boston, just yours. And I take my task as your agent very seriously. As if it were my own home. If you work with me you can expect me to be readily accessible via text, phone or email. I’ll respond quickly to get you the information you need to make good decisions. You might want to know I am a lifelong Boston resident and have been a real estate agent since 2001. 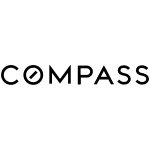 I joined Compass in the Fall of 2016 because I believe the Compass platform empowers me to deliver the very best service for each of my clients. In my career I have represented hundreds of Sellers, Buyers and Landlords. My focus is South Boston but I have closed on properties in just about every Boston neighborhood and in many of the surrounding communities North, South and West of the City. I have called South Boston home since 1988. I have lived in two places my entire life. My parent’s home in Dorchester and the house I live in now with my wife, Janice. We have three adult children and are all proud to call the neighborhood home. If you are looking to Sell or Buy in the Boston area and want quality service with professional representation please contact me.